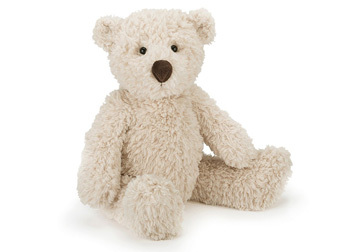 Biscuit Bear is suitably scrumptious, and just the friend for a growing tot. This bear enjoys rough-and-tumble play, as you see by his scruffly fur. He’s also very good at sniffing out fun with that big velveteen truffle of a nose.